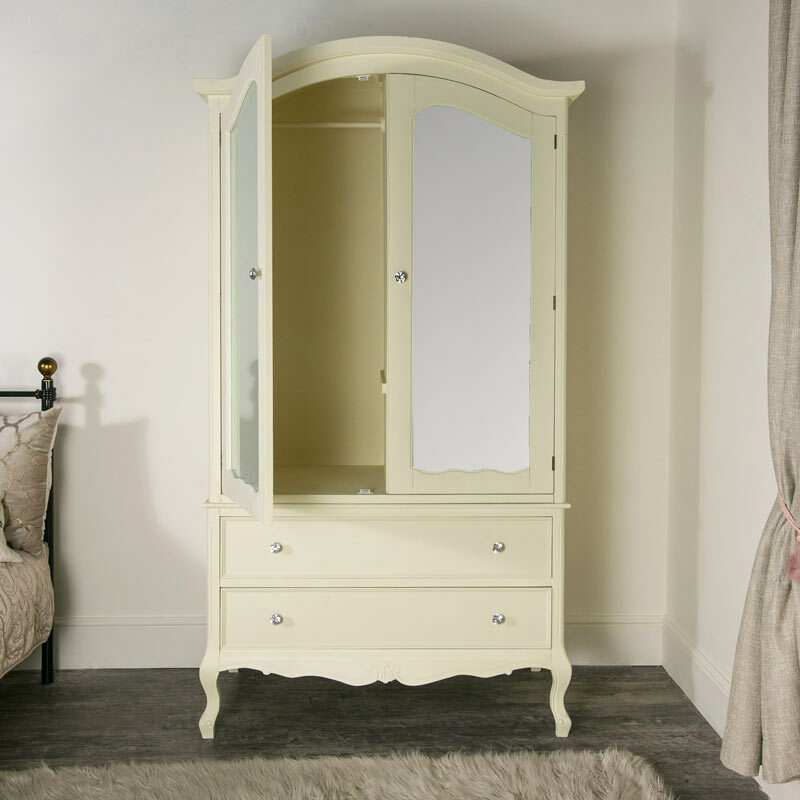 This Elise Cream Range Cream Wardrobe With Mirrored frontage and Drawers would make elegant clothing storage for a vintage, shabby chic or country inspired bedroom or dressing room. 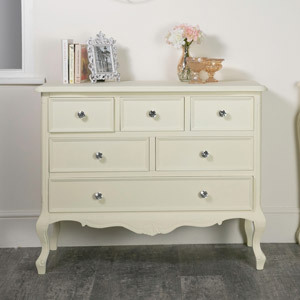 Perfect for lovers of elegant, French inspired furniture. 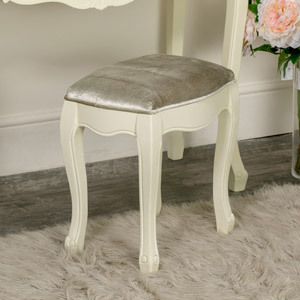 This is part of a larger cream furniture set that is also available in grey and white. Create the bedroom of your dreams with this stylish furniture. 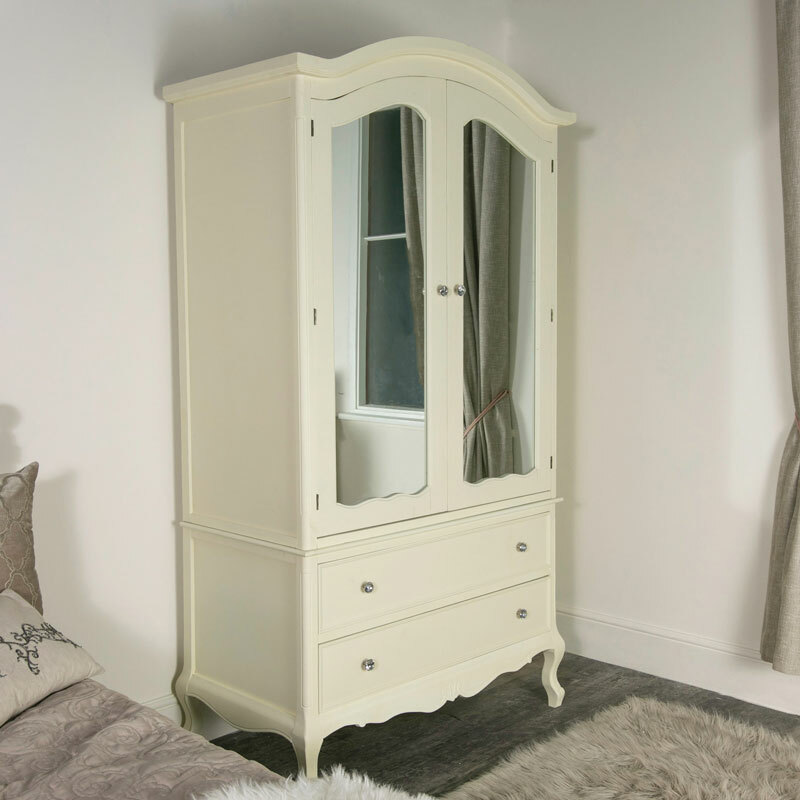 Painted in a soft cream, the wardrobe features 2 double mirrored doors with internal hanging rail and shelving for keeping your clothes neat and tidy. Additional storage with 2 drawers beneath. Ornate carved detailing with crystal style knobs epitomis the classic French look. 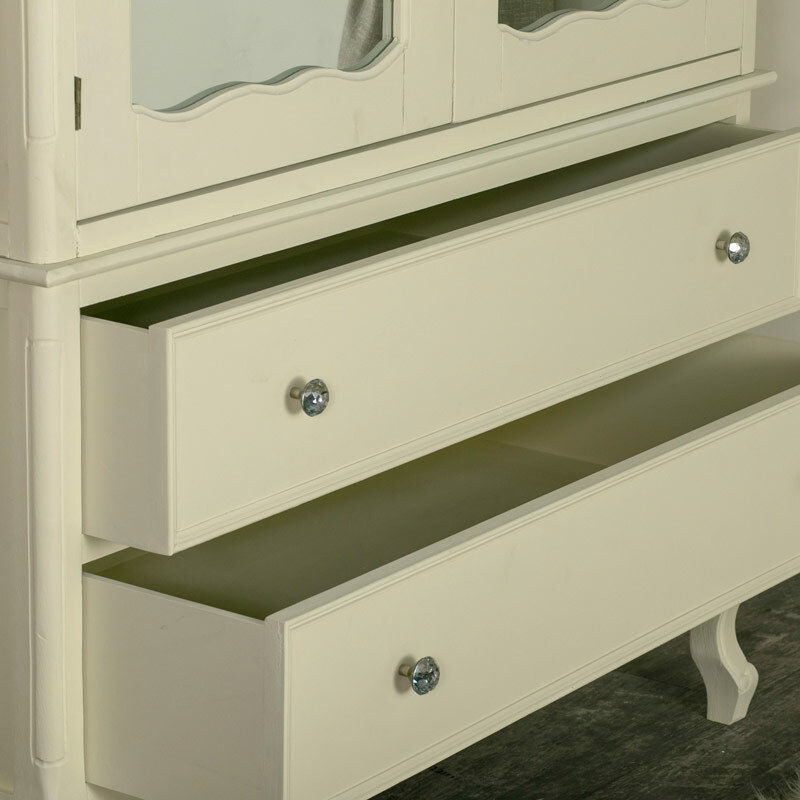 The Elise Cream Range comes with matching furniture for you to complete your bedroom design. We also have this stunning range in grey and white. 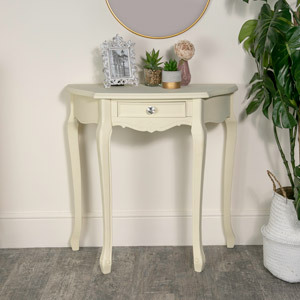 This Elise Cream Range Cream Wardrobe With Mirrored frontage and Drawers would make elegant clothing storage for a vintage, shabby chic or country inspired bedroom or dressing room. Perfect for lovers of elegant, French inspired furniture. 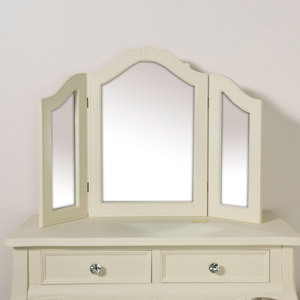 This is part of a larger cream furniture set that is also available in grey and white. Create the bedroom of your dreams with this stylish furniture. 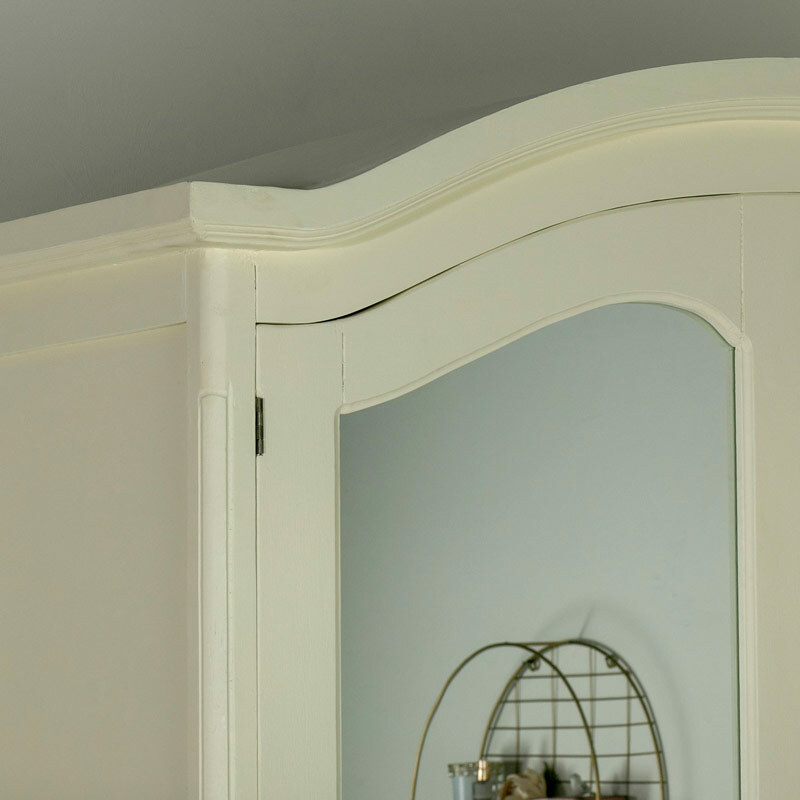 Painted in a soft cream, the wardrobe features 2 double mirrored doors with internal hanging rail and shelving for keeping your clothes neat and tidy. Additional storage with 2 drawers beneath. Ornate carved detailing with crystal style knobs epitomis the classic French look. 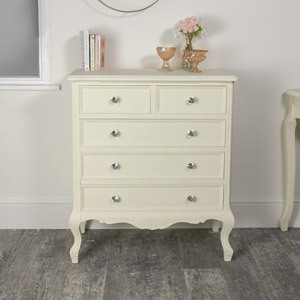 The Elise Cream Range comes with matching furniture for you to complete your bedroom design. We also have this stunning range in grey and white. 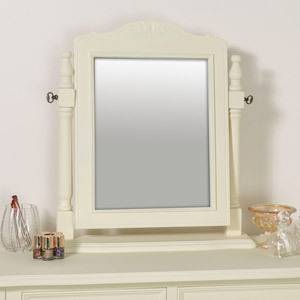 Made from wood and painted in cream with 2 mirrored doors, featuring magnetic closing. The wardrobe comes partially assembled, making it easier to get up the stairs. The overall measurements of the wardrobe are 110cm x 200cm x 57cm (width x height x depth).